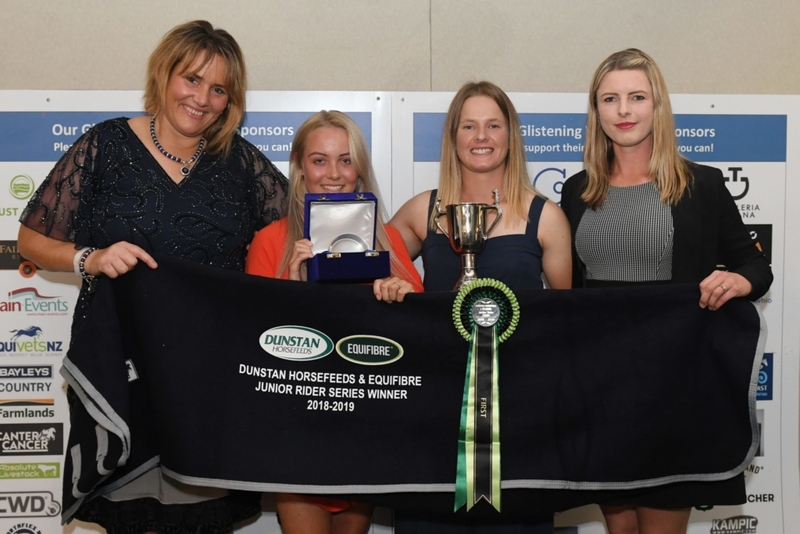 After a whole season of competition, you’d think it would be easy to find a single winner but in fact, it’s a tie at the top of the Dunstan Horsefeeds and Equifibre Junior Rider Series between Ally Carson (Putaruru) and Tayler Nalder (North Canterbury). Both young women are in their final year of junior rider and were ecstatic to win – even jointly. It was somewhat emotional for 17-year-old Tayler who gives her ride aboard the gorgeous Icebreaker II to her younger sister Anna. The family bought the big grey in 2014 for dad Mark to hunt on. At that stage, Mark was not a rider – he’s currently deputy master of the Brackenfield Hunt and next week they will lead them out. Early on though Tayler had eyed the horse and convinced mum Pam to let her ride him. 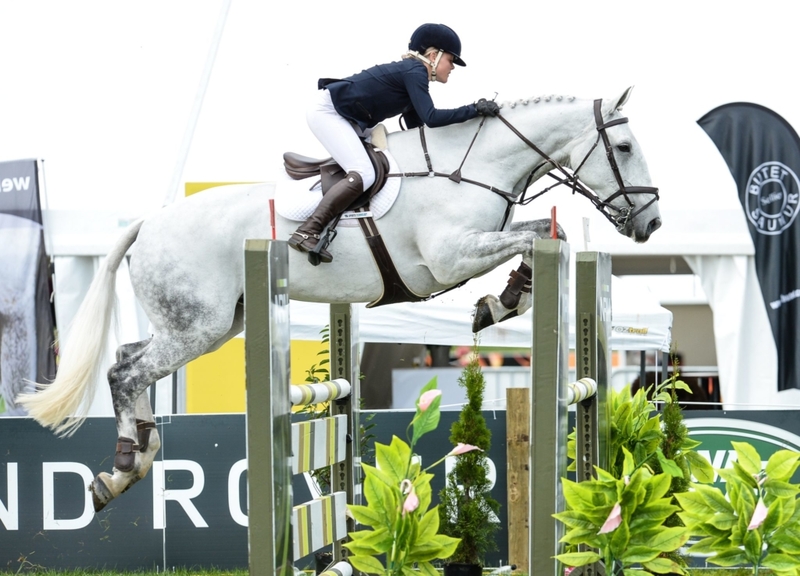 She did a little show hunter, winning the junior rider series in their first season and quickly made the decision to move to showjumping. They’ve never looked back. Eighteen-year-old Ally and her nine-year-old Whiorau Ritchie have only been together a year-and-a-half. They had a rail in the opening round but had enough speed to take sixth place in the class. Ally just recently moved to Hunterville to work on a dry stock farm with Daniel and Chrissy Webb. 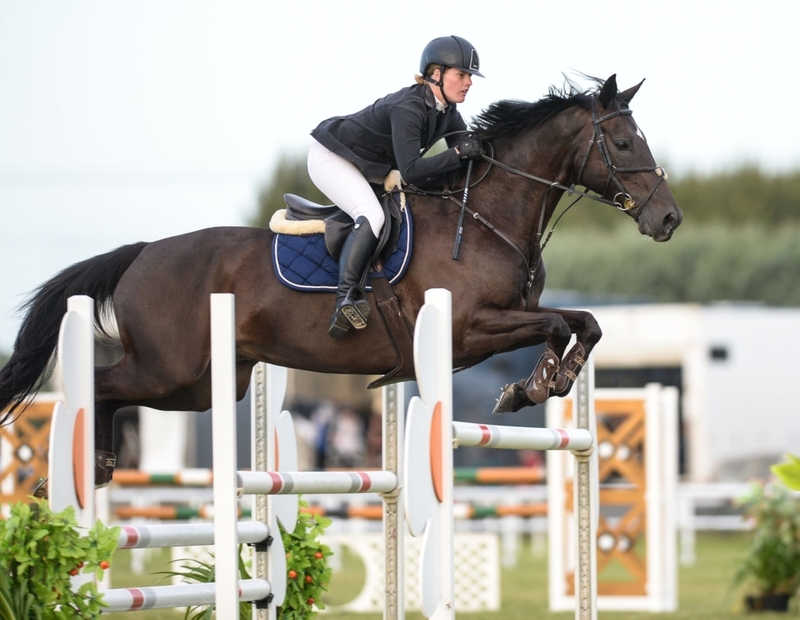 In the Dunstan Horsefeeds and Equifibre Junior Rider Series Final, just five of the 16 starters went clear in the first round with all of them picking up four faults in the jump-off. But the day belonged to rising young star Tim Wilson (Waipukurau) who comes from rather blue blood of New Zealand showjumping thanks to his Olympic Cup winning parents Claire and Simon. Riding his mum’s lovely mare McMillans Tipsey he was the fastest of the field to take a very popular win. He looked on track to notch a double clear, only to have the last hit the turf. Olivia Dalton (Karaka) and Appleton recovered from a very specular annihilation of the wall – the first obstacle in the jump-off – to scramble back up with Olivia somehow reclaiming a stirrup and ride to a gutsy second place, with Meg Rogers (Palmerston North) and Late Lunch coming in for third. Caitlin Adams (Christchurch) and Hammertime won the equitation. 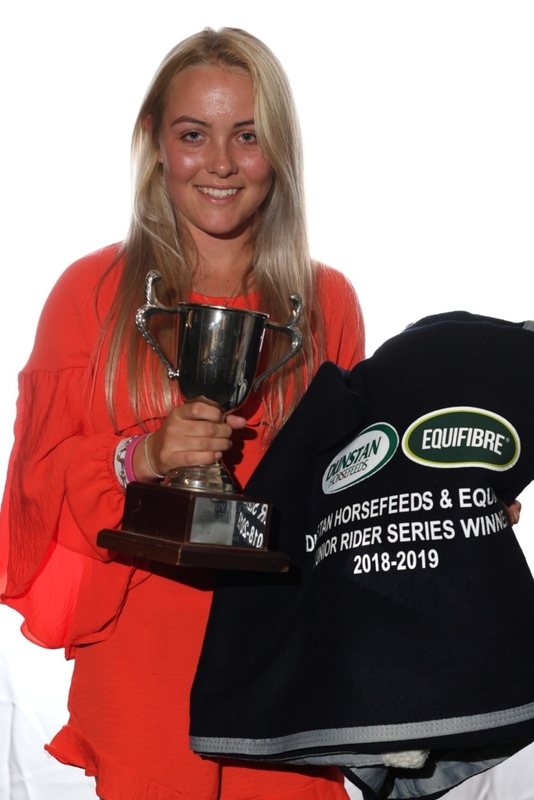 Ally Carson (Putaruru) and Tayler Nalder (North Canterbury) 154 points =1, Olivia Dalton (Karaka) 148 points 3, Sophie Townsend (Darfield) 147 points 4, Samantha Carrington (Dannevirke) 146 points 5, Sarah West (Matamata) and Caitlin Adams (Christchurch) 135 points =6. 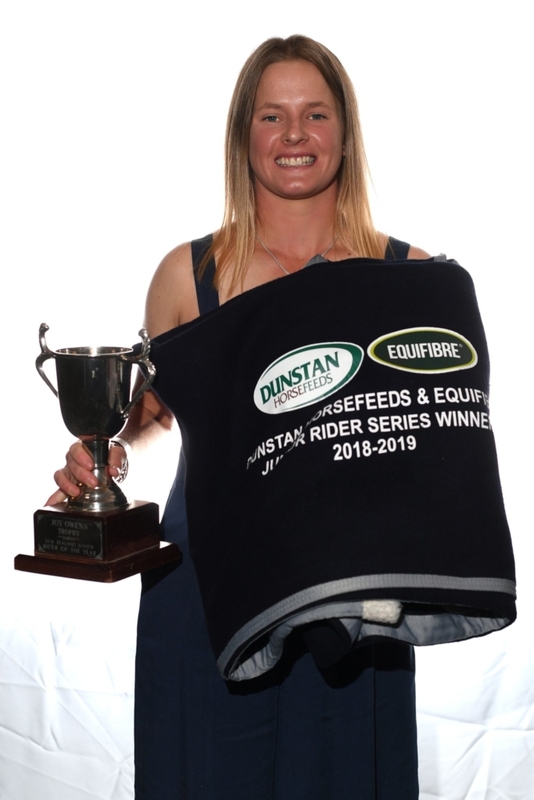 Tim Wilson (Waipukurau) McMillans Tipsey 1, Olivia Dalton (Karaka) Appleton 2, Meg Rogers (Palmerton North) Late Lunch 3, Tayler Nalder (North Canterbury) Icebreaker II 4, Caitlin Adams (Christchurch) Hammertime 5, Ally Carson (Putaruru) Waiorau Ritchie 6.